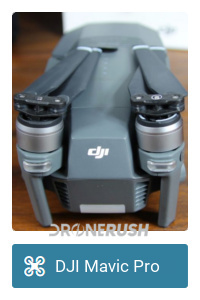 We have a theory about the current state of the drone market, there are some great machines at lower prices, but you really start to get into the best of the bunch when you visit a list like this one here today. After exploring some of the least expensive drones on the market, and bumping things up to the $500 range, it’s now time to get serious about quadcopter shopping. Join us for our list of the best drones under $1000. 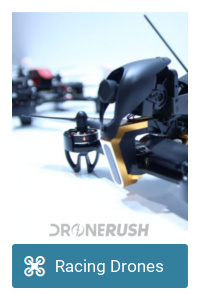 At this price point, we’ve moved beyond toy class drones and the majority of FPV racers, we’re now looking at the lower-end of the camera drones. These are the entry level drones for those looking to capture those epic aerial photos and video. Let’s dive in. The DJI Mavic Air is the sort of drone most of us have been looking for. As compact as can be for travel, and large enough in the air to withstand some wind, this is a fast and reliable folding quadcopter. 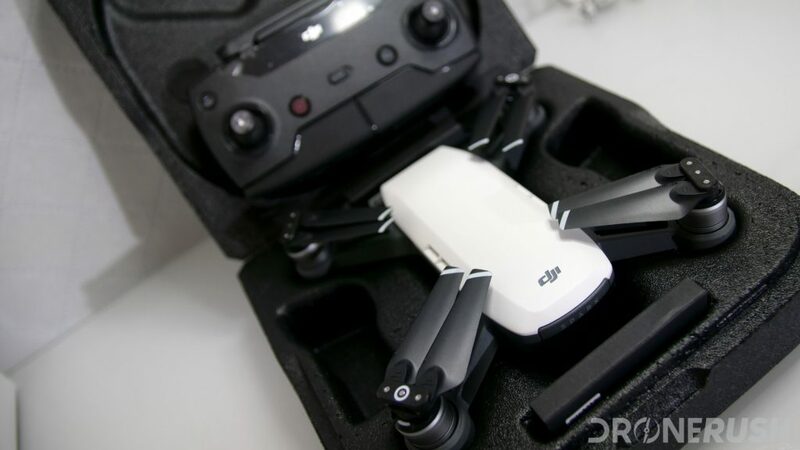 It offers up the best features from the DJI Spark and most of the best features from the Mavic Pro, then it adds some new tools and takes to the sky. The cherry on top is the 100 Mbps data rate for video recording – this makes for the best image quality we’ve seen yet out of a 1/2.3-inch sensor. Check out the DJI Mavic Air for $725 for the drone alone, we recommend the DJI Mavic Air Fly More combo for $895 to get extra batteries and more. Regularly $799 and $999. Update: The newer DJI Mavic Pro Platinum is a slight upgrade from the original Pro, check it out and definitely buy it instead if the price is only a little more. Are you getting tired of hearing about this drone yet? I hope not, we’re as stoked about it as ever. DJI has packed an amazing set of features into an extremely compact and portable flyer, the Mavic Pro really is about as good as it gets in this price bracket. 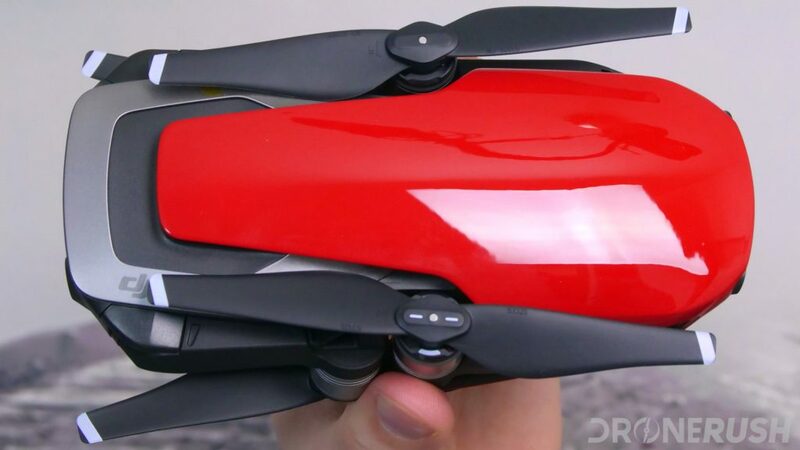 This folding quadcopter offers up 4K video recording, extremely stable flight, feature rich automated flight controls, one of the smallest controllers around and it fits in a water bottle holder. 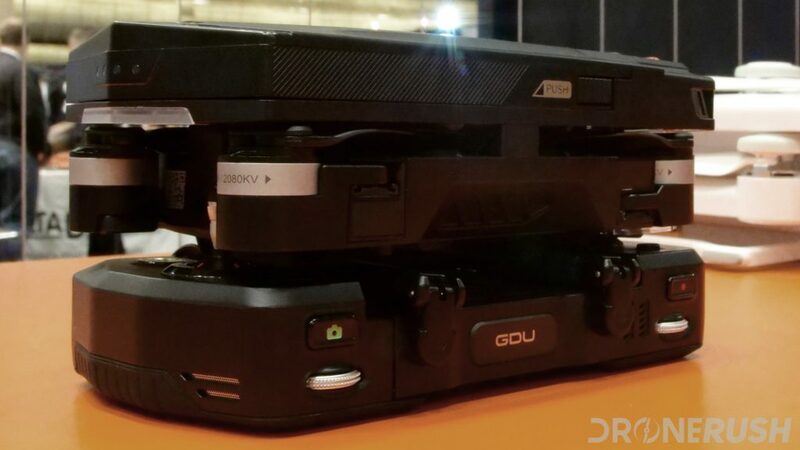 Connect your Android or Apple smartphone to the controller for FPV flying and camera controls, particularly with the new DJI Go 4 app, and a newer update to the app that increases the top speed for the drone. The DJI Mavic Pro may not be the best camera drone around, nor the best racer or an affordable toy class unit, but in terms of overall usability, convenience and bang for the buck, you’ll be hard pressed to find better at the going price of $999 – update, you can now, but the Mavic Pro was king of consumer drones for a while there. You can grab the drone itself for about $799, but we recommend at least getting the base pack, including controller, for $875. The optional Fly More combo is what we’d recommend, it’s well worth it, but will bring you up a little. Grab the DJI Mavic Pro Fly More bundle for to $1,129 on Amazon today. Regular price was $999 and $1299. Thanks to the recent launch of the Phantom 4 Pro and Phantom 4 Pro+, the original Phantom 4 is now under a grand! Built on one of the most popular drone frames in recent history, the Phantom 4 is a powerful, fast and highly capable 4K recording drone. The Mavic Pro is all of the best parts of the Phantom 4 packed into a folding package, which should give you an idea how great the Phantom 4 is. 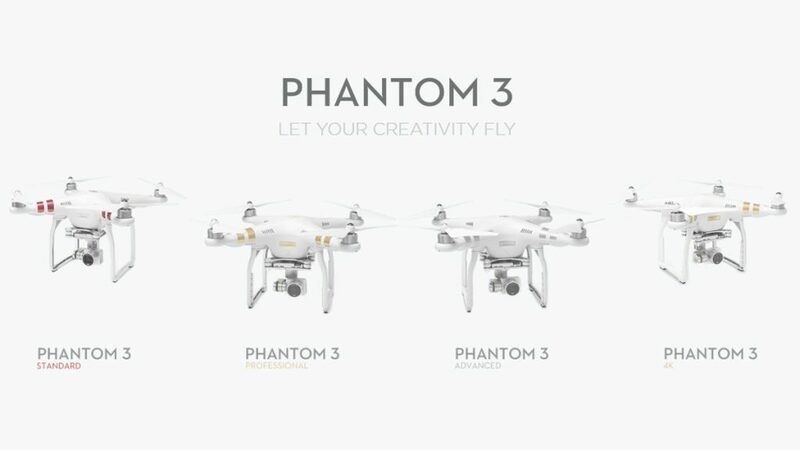 Let’s ignore that the newer Phantom 4 Pro is superior, and not forget that the Phantom 4 itself is ready to fly when you are. 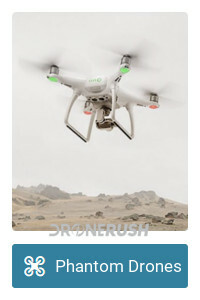 Basically, these three drones offer fairly similar functions, at least on paper, so if you like the larger frame, but don’t want to dish out for the new Pro drone, the Phantom 4 is a solid and respected drone under $1000. Check out the DJI Phantom 4 for $849 on Amazon today. Update: There is a new Typhoon H coming in a few months, grab the details before you buy this drone today. There is a reality in which $1000 is not your purchasing limit today, in which case you would be looking at the Pro version of this drone. However, for less than $1000, the Yuneec Typhoon H 4K is a favorite drone for many pilots. Unlike most the other options you’ll see in our lists, this is not a quadcopter, instead it packs six propellers, if you haven’t seen the term for that, we call it a Hexacopter. 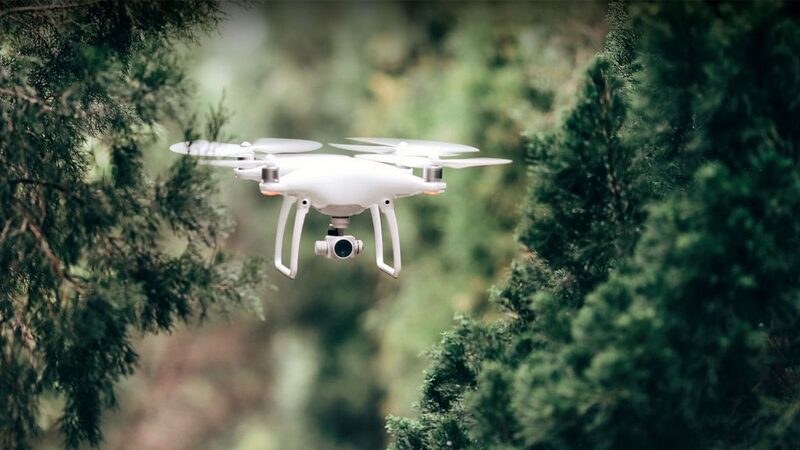 4K video recording, 12MP still photos, 360 degree gimbal rotation, the ability to remain in the air if a rotor fails, smart tracking software and collision detection all make for a powerful, stable and safe flight. The only thing missing at this price point is the Intel RealSense advanced collision avoidance system, which only bumps you about four hundred over budget. Check out the Yuneec Typhoon H for $899 on Amazon. Watch for sales as low as $749, not bad considering this machine was $1399 for a long time. 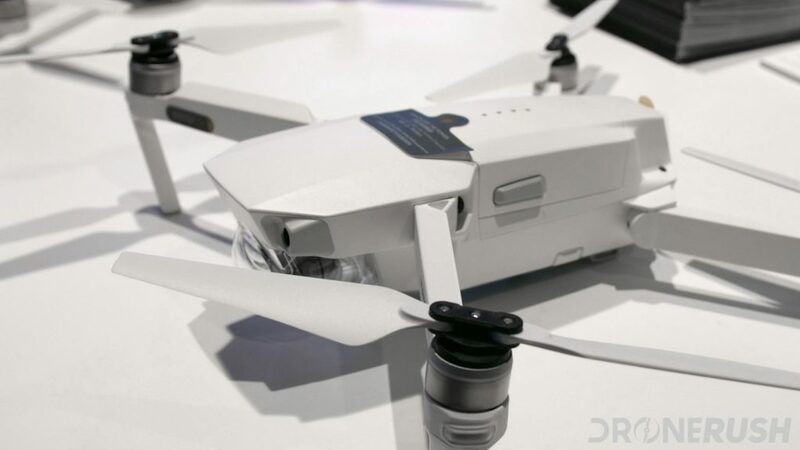 Launched in mid 2018, the compact, folding Yuneec Mantis Q is a well thought out consumer drone. It wasn’t initially designed to produce the same levels of video capture as a drone with a 3-axis gimbal, which is why they are already working on a version with the updated video stabilization. Of course, the current version offers stable video when the drone isn’t struggling in the wind, and packs a number of other powerful and fun features, not the least of which is voice activation and facial detection. 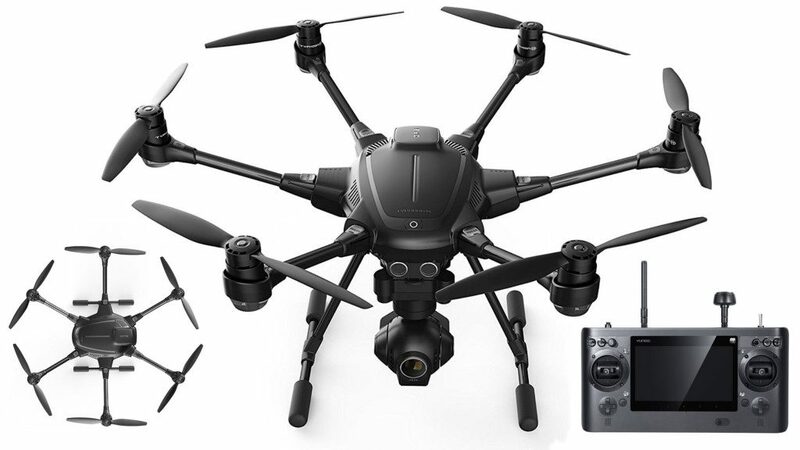 The Yuneec Mantis Q is just $490 today. We enjoyed the presence of the Parrot Bebop 2 on this list for years, but Parrot has a new drone that is superior in many ways. 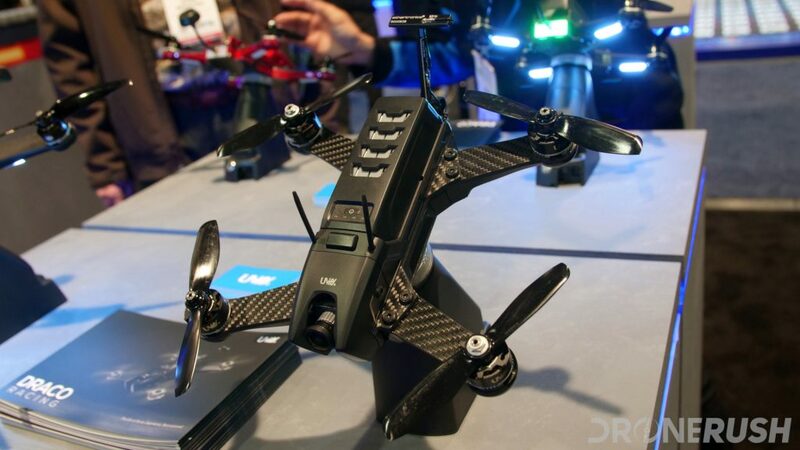 The newer Parrot Anafi is a folding drone with 4K camera and a 3-axis gimbal. Long flight times and great portability make the drone easy to use, but the extended tilt of the gimbal is the real value here. Look straight down, look straight up or anywhere in between. We plan to get the Anafi in house so we can tell you more, but we’re convinced it’s a solid option for this list. Check out the Parrot Anafi for $539. We’ve spent most of this list looking at flying cameras, now to a drone that has a little different focus, racing! There are many great FPV racing drones out there, it’s a growing sport that may even land in the Olympics, if rumor is accurate. This Walkera F210 3D is one such racer that promises all the high speed thrills of VR goggle racing. 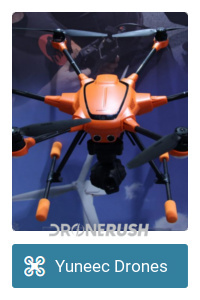 Designed for high speeds and crazy maneuverability in tight quarters, this is a low range drone with night vision cameras offering up to 8 minutes of intense flight. Carbon fiber keeps thing light and strong, which we suspect will be important at some point. Check out the Walkera F210 3D racer for $339 on Amazon. If you are ready to go pro with your racing drone, the Uvify Draco is one of the best on the market today. The modular built carbon fiber frame has replaceable arms, which will come in handy when you smack a pole or tree at over 80 mph. Uvify has a growing suite of drones, accessories and software available as well. Please start with a smaller racing drone before you dive into this beast. Check out the Uvify Draco for $499 for the Analog version, upgrade to the Draco HD for $799, that’s the Digital version. We recently took a closer look at the Phantom 3 from DJI, it is two generations old already, but we determined that it is still worth it. Not to say you are getting the same great features or camera capabilities as can be found on the Mavic Pro, Phantom 4 or Phantom 4 Pro and newer, but for the new, low price, it’s totally worth it. The iconic drone design with a range of varying capability cameras make for a compelling enthusiast drone for as low as $400. We recommend you start your research with the 4K camera equipped DJI Phantom 3 Pro for $799 on Amazon today. Allow me to be 100% clear, I have not yet flown the DJI Spark myself. My review unit should be in hand any day now, it is mid-June after all, but I am adding this drone to this list based on technical merit. I hope I don’t have to remove after I get the chance to fly. Enough validation, Spark is a compact flying quadcopter with a few tricks up its sleeve. 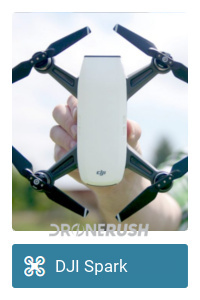 Actually, the tricks are up your sleeve, you can fly this drone by hand gesture alone. In addition to specific drone features, DJI has also introduced a few new flight modes. Quickshot includes four autonomous flying modes that are exclusive to Spark for now, but we don’t see why they can’t be added to other DJI drones through software updates. Basically, DJI Spark is one of the easiest drones to fly with the least amount of training and effort from the pilot. It’s also quite small, so you can pack it around and, as they say, be ready to seize the moment. Check out the DJI Spark from $338 as the drone alone, or upgrade to the Fly More bundle from $499 on Amazon today. Regularly $499 and $699. Announced at InterDrone 2017, the new GDU O2 is a compact drone that not only attaches to it’s own remote, it also slides in the propeller arms to protect the folding propellers for transport. The entire enclosed package makes for one of the most portable machines we’ve ever laid hands on. Our initial reaction is that this drone sits perfectly between the Spark and Mavic Pro, in terms of capabilities and features, and it definitely sits between those tow for price. Check out the GDU O2 for $729 now, or hang off for an updated version coming soon that improves remote connectivity and increases the amount of internal storage. 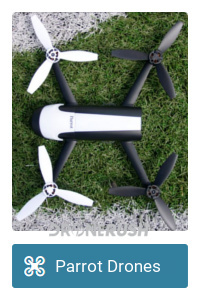 This drone is going to land on a few lists on this site, and it’s not even shipping to consumers yet. 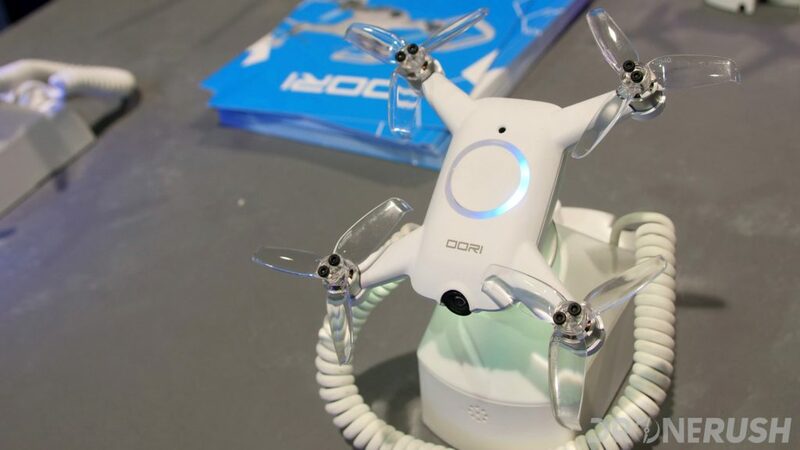 Announced at CES 2018 and set to land on doorsteps by Q2, this is a mini racing drone that’s also one of the best flying mini drones around. Safe to fly indoors, or unleash on the race track at over 50 mph, this machine will grow with you. 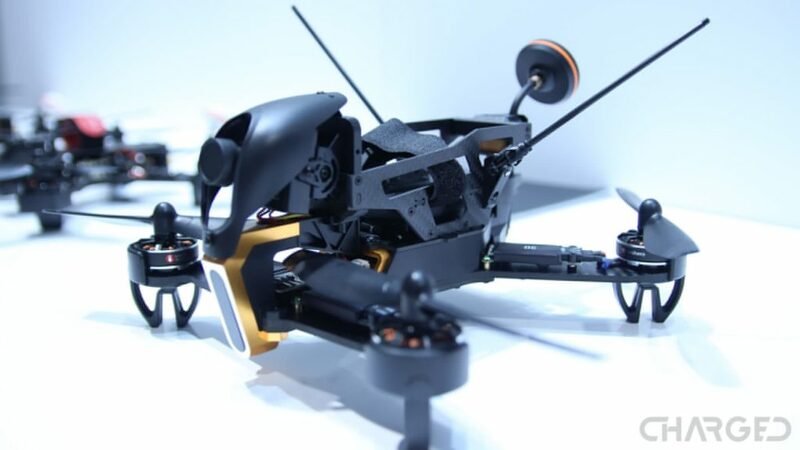 It’s not a camera drone, if that’s what you’re looking for, but it does have an FPV camera, so you can enjoy the view from your racing goggles or just from the display built into the remote. You can order Uvify OOri for $345 today. What do you say, is there a drone out there between $500 and $1000 that you think a new flyer should look at? What is the best drone under $1000 in your opinion?